For years now, I have been shooting portraits of artists, most in their place of work. We usually only see a piece of art as it’s displayed on a white wall at the gallery. It’s great to see where it was created and what environment the artist uses to create their work. I’ve been very fortunate to have met and photographed some very interesting people. Most have been here in New York, but when I travel I try to reach out to others. I’ve created a website to begin showing this work (some are in my portrait section of my website). 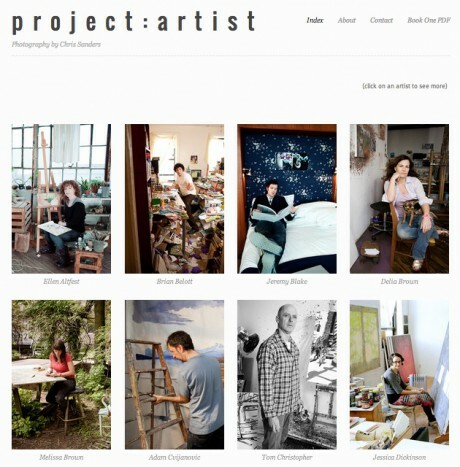 I’ve started to load them into www.projectartist.info. I’ll update periodically with some more people. I also created a hand bound book of the first group of artists. It’s displayed in the video below. Here’s the PDF of the book.